For Air Max Day 2018, Nike celebrates cult classics from the Air Max line that share a visibly pioneering trait. Each shoe’s game-changing air unit pushed both Nike Air and footwear design forward. The respective models all evidence Nike’s unrelenting spirit of innovation, turning fresh imagination into reality at each successive step. For instance, the introduction of the Air Max 180 in 1991 made the dream of running on air a reality. The 180 Max Air unit, with 180 degrees of visible air, allowed direct contact between the cushioning element and the pavement. Not only was it an advancement in Nike technology, it also forged a breakneck aesthetic. Additionally, the initial Ultramarine colorway has become an instantly recognizable Nike scheme. The Air Max 180 returns in OG form February 2. Two years later, 180 degrees was eclipsed when Tinker Hatfield included (for the time) a huge, rounded heel unit in the Air Max 93. Internally, it took on the moniker 270 — because it exposed 270 degrees of air — and its neoprene collar offered another striking shift in running shoe design. The Air Max 93 releases February 2. 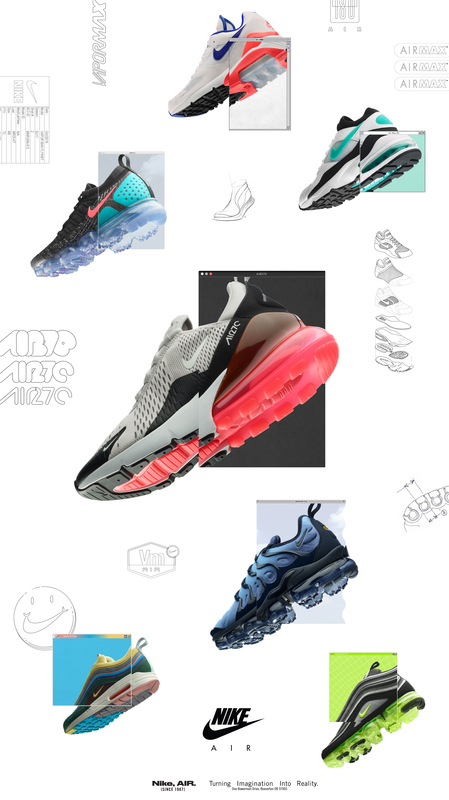 With the Nike VaporMax Plus, two revolutionary icons, the Tn and the VaporMax, combine to celebrate one of the Air Max line’s most innovative uppers and its most daring Max Air unit. The striking lines of Sean McDowell’s ’98 classic are given a new moldable mesh articulation, while the VaporMax Air-Sole lends an ultralight ride. The Air Max 270, officially unveiled at Nike Investor Day, is the first Air Max model designed for lifestyle. At 32mm, the heel bag is the tallest yet, and it offers a super-soft bounce that’s perfect for long days out. The first drop of Air Max 270 occurs on February 1 and new colorways of the Air Max 270 are available beginning March 2. Select colorways are available in women’s and youth sizing. Additionally, the Nike Air VaporMax 97, Nike VaporMax Flyknit 2.0 and Air Max 1/97 Vote Forward SW will also release during the lead up to Air Max Day.